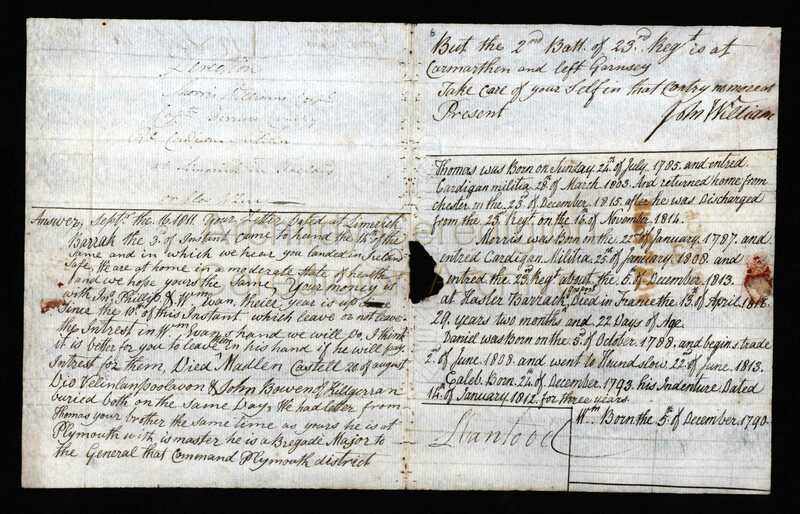 Answer, Sept’r the 16, 1811. Thomas was Born on Sunday 24th of July. 1785. and entred Cardigan militia 28th of March. 1803. And returned home from Chester on the 23rd of December 1815. after he was Discharged from the 23rd Regt on the 16th November 1814. Morris was Born on the 22nd of January. 1787. and entred Cardigan Militia 25th of January. 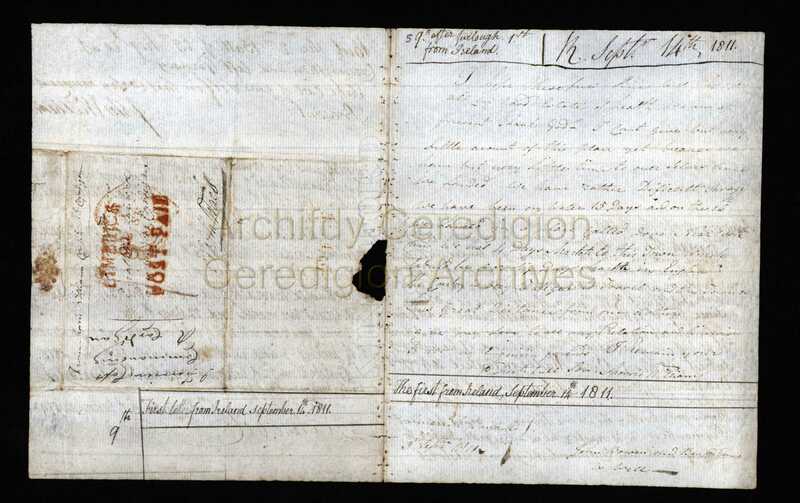 1808. and entred the 23rd Regt about the 5th of December 1813. at Heisler Barrack Gosport Died in France the 13th of April. 1815. 29 years two months and 22 Days of Age. Daniel was Born on the 3rd October 1788. and begins trade 2nd of June. 1808. and went to Houndslow 22nd of June. 1813. Caleb. Born 24th of December 1793. His Indenture Dated 14th of January. 1812. for three years. Wm Born the 5th of December 1790.